Gustavo Adolfo Bécquer is considered to be the most widely read Spanish writers after Cervantes. 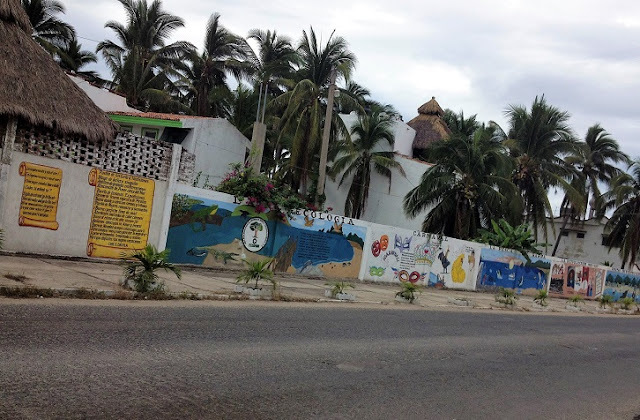 The Bar None Group came across his poetry on a mural of the history of Barra de Navidad, Jalisco, Mexico. Is it coincidental that Bécquer's poem is found in Christmas town? The author himself died Christmas week in 1870. Known as Rima XXXVIII, Bécquer's poem in Barra de Navidad is one of three pieces of poetry that encapsulates the sea as a central theme. Regarded as the founder of modern Spanish poetry, Gustavo Adolfo Bécquer's posthumously published Rimas is also widely held as one of the most important works in Spanish poetry. Today, Bécquer's Rimas are usually published together with his book on Spanish legends, Leyendas as Rimas y Leyandas. 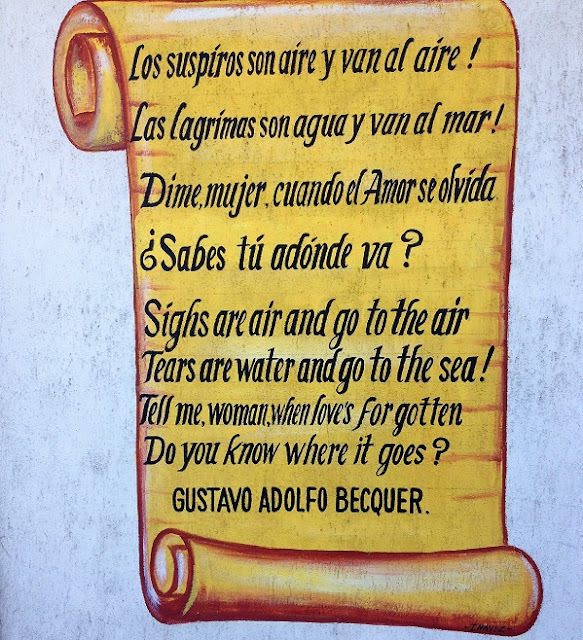 There is no evidence that Bécquer ever made it to the Pacific coast village that honors his poetry. A close-up of Becquer's Rima XXXVIII.